Great financial services organizations are built on excellent customer service and efficient operations. Is your IT holding you back? As technological advancements change the way you do business, it's important that you can count on your IT to keep everything up and running. ManageEngine solutions give you complete visibility of your IT infrastructure, ensuring your business has only the best security, network performance, compliance, and service delivery. Overcome threats and improve IT efficiency. Ensure business-critical applications are always available. Monitor data security, compliance, and user activity. Efficiently manage your service desk. Manage identities and privileged access. Keep your network and essential applications up and running, without fail. Your customers trust you with their money, and that's everything. Don't lose that trust over poor application performance or network downtime. Stay on top of your network and business applications. Ensure maximum application uptime and quick customer care. Get clear insight into end-user experience. Proactively identify IT issues and fix them before they impact business. Manage your workload across physical and virtual network environments by eliminating issues, prioritizing alerts, and keeping a constant eye on your network and applications with ManageEngine's IT operations management suite. A leading bank in Europe, with global operations, trusts ManageEngine Applications Manager for its application management. Financial services is the most targeted sector for cyber attacks, which means that you need hypervigilant security. When customers trust you with their future, you can't afford to risk the security of your data and other IT resources. Ensure data security with comprehensive access controls. Audit user logs and critical servers. Ensure compliance with comprehensive reports. Monitor logs across your network in real time. Manage privileged access and passwords. Put your security management on autopilot. ManageEngine's security suite helps you mitigate risks across all levels of your organization with constant monitoring for compliance violations, unauthorized access, and suspicious activity. 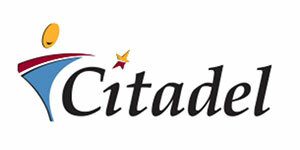 Citadel Bank powers their privileged user monitoring and auditing with ManageEngine Event Log Analyzer. Efficiently manage overflowing service requests. When you're responsible for people's finances, that usually means you have a busy help desk. But busy doesn't have to mean out of control. Invest in a scalable solution to handle ticket surges and ensure excellent customer service every time. Help your customers on every level. View help desk performance in real time. Categorize and prioritize tickets for optimized scheduling and staffing. As financial institutions strive to improve customer experience with online interactions, the number of back-end transactions can skyrocket, leading to endless service requests. Focus on what really matters with ManageEngine ServiceDesk Plus, ITIL-ready help desk management software with automated technician assignment, multi-channel ticket creation, and incident, change, and project life cycle tracking. 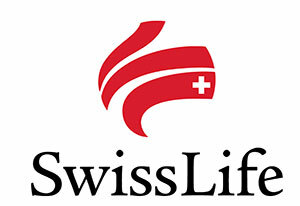 With ServiceDesk Plus, IT changes at SwissLife Banque are better managed, ensuring minimal risk and a higher success rate. Mitigate vulnerabilities and deploy software updates. With the immense possibilities of new technology, from wearables to IoT, security loopholes are inevitable. Keep an eye on all your organization's devices to guard against potential security issues and keep your IT running smoothly at all times. Keep your IT infrastructure up to date. Standardize software configurations for networked devices. Automatically scan your network to detect missing patches and identify new vulnerabilities. Assess security risks and prioritize mitigation by impact. ManageEngine's device management suite helps you secure all the devices in your organization's network with a centralized approach to patch management, software distribution, IT asset management, and more. Learn how First Priority Federal Credit Union secured itself from network vulnerabilities using ManageEngine's Desktop Central. User account management can get complicated fast, especially if you're working with third parties or expanding. As your company grows and evolves, new blood is inevitable. Streamline the onboarding process for third parties and new employees in Active Directory, including specifications for each account's privacy and security permissions. Account for all users and access. Manage user accounts across locations. Monitor and manage access to customer records. Ensure compliance with audit-based reporting. With ManageEngine's Active Directory suite, bulk creation and management of employee and customer accounts is easier than ever. Our integrated solution streamlines user account management centrally. That means your company can expand and outsource until the end of time, and we'll still be able to help you manage it all. Central Bank discovered a wealth of information using ManageEngine ADAudit Plus and was able to audit and report across geographies. Top financial institutions around the world use ManageEngine to keep their IT in check.